Mobility enables your healthcare workers to deliver better patient care and achieve higher levels of productivity. Enabled with anytime anywhere wireless voice and data communications, workers can perform a wide variety of tasks right at the point of care. Bar codes can be scanned at the patient's bedside to verify that the right patient is receiving the right medication. Mobility enables your healthcare workers to deliver better patient care and achieve higher levels of productivity. Enabled with anytime anywhere wireless voice and data communications, workers can perform a wide variety of tasks right at the point of care. Bar codes can be scanned at the patient's bedside to verify that the right patient is receiving the right medication. Critical pages can be answered and urgent phone calls placed or returned while walking through the halls. And patient data and other crucial applications are always at the fingertips of healthcare workers — at the patient's bedside, at the nurse's station, in the operating room and beyond. 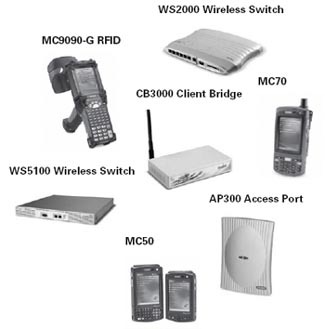 In this critical environment, you need the highest level of reliability and performance in both your mobile devices and your wireless network connection. When you choose Motorola products for your enterprise mobility solution, you get the peace of mind that comes with choosing proven products that are used in some of the world's largest healthcare organizations, manufacturers, retailers and more.